Semi-evergreen in sheltered spots, height to 30cm. 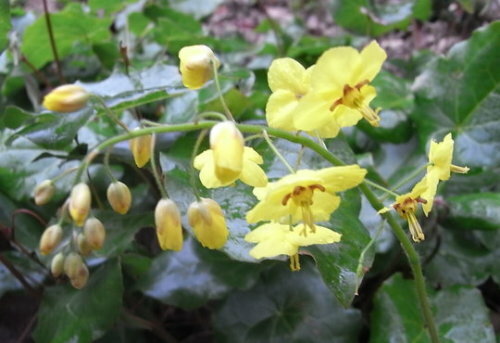 A vigorous variety with attractive yellow flowers. Foliage is flushed with bronze when young.